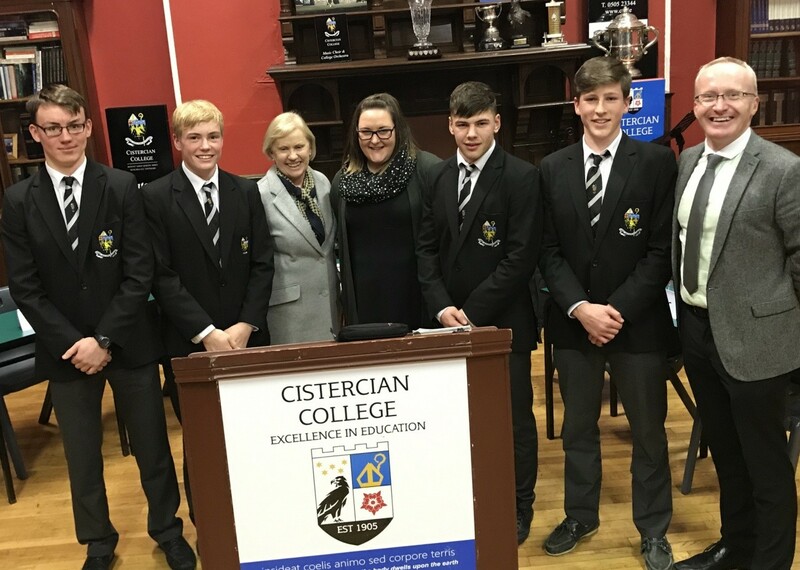 On Thursday night our Senior Irish Debating Team progressed to the 3rd round of the All-Ireland Competition. Our motion was ‘Sárbhliain a bhí againn in Éirinn anuraidh’ – we had an excellent year in Ireland last year. Luckily we were in favour of the motion and Jacob Faughnan began with the Pope’s visit to Ireland, The World Meeting of Families and our President Michael D. Higgin’s return to the Áras. Cian Quinn continued with some interesting statistics on the voting turnout, unemployment rate and the success of Bliain na Gaeilge. Manus Heenan concluded with a list of our sporting achievements. Oisín McCloskey was the substitute for the team. We now progress to the next round in the coming weeks. 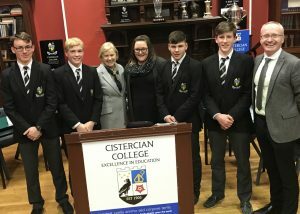 Congratulations to the four boys and their teachers Mrs. McCormack and Mrs. Cody.